n the beautiful Akko Port, one of the oldest sea ports in the world, not far from the fishermen’s boats, moors a magnificent 48 feet long Contest yacht. As its white sails flutter in the wind, guests are greeted on the deck by Dorit and Maoz Tzur, sailors who have been traveling the seas the past thirty years. 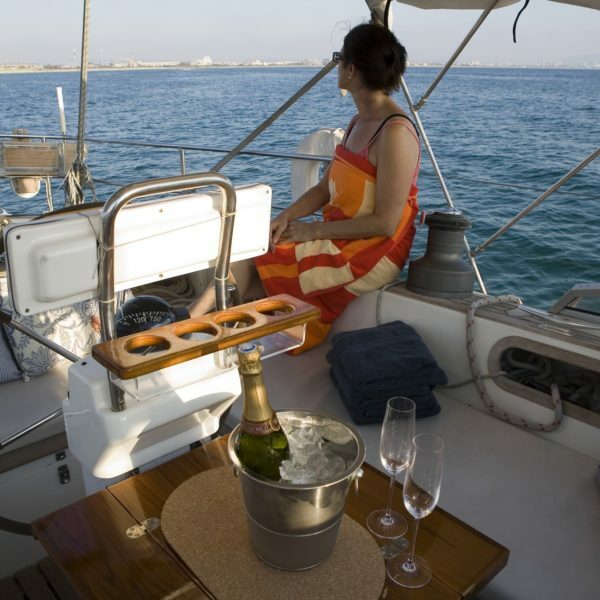 Dorit and Maoz decided to impart their love for sailing onto anyone interested in experiencing Hospitality on the Water. Their yacht was built in the Netherlands and is designed to cross oceans. It weighs 20 tons and was constructed under supervision of the Lloyd Company, a fact that guarantees qualities such as stability, safety and comfortable sailing. 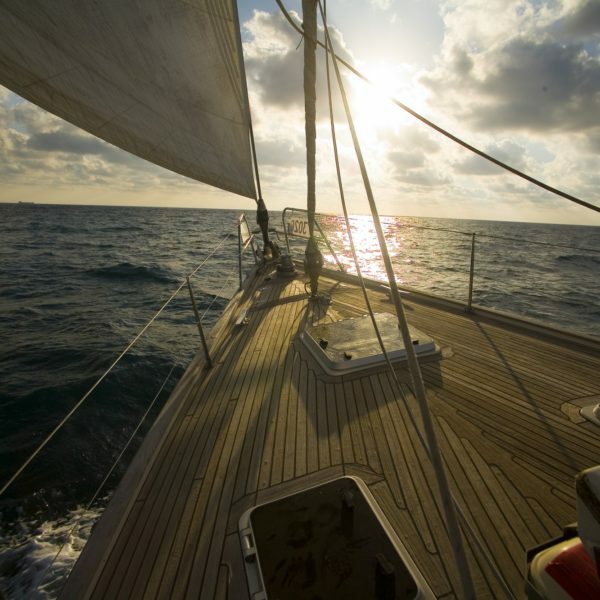 This sailing beauty is equipped with two sails in the front and one in the rear, a mast that rises to a height of 21 meters and three cabins: one large – serving as a main bedroom, a second one offering a double bed and a third one with bunk beds; two bathrooms including showers, a fully accessorized kitchen, a living room, a cockpit offering benches that surround the helm, rear and front decks, a rigid-hulled dingi and a motor boat. Dorit and Maoz work as a team: they clean, cook, host and offer their service to their guests during the entire cruise. This way they combine their love for sailing with their equally great love for hosting. 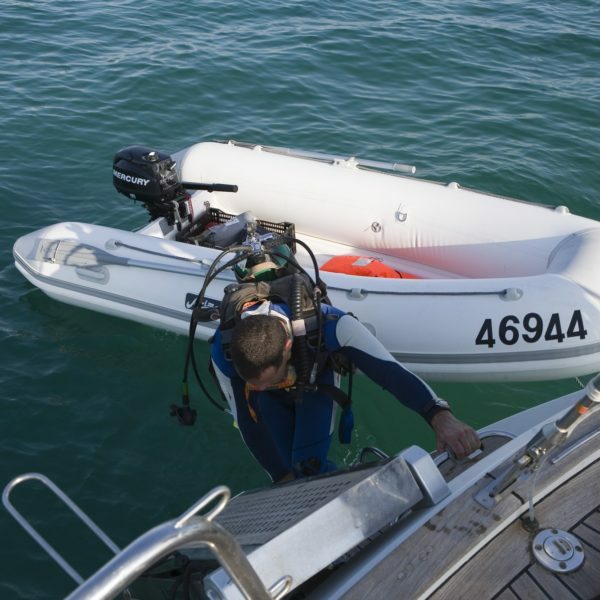 They see their yacht as a small boutique hotel taking them and their guests across the water anywhere they wish to go. Mañana also sails overseas. In Israel however it offers cruises lasting a half to a whole day or longer, leaving from the port of Acre: a half a day’s cruise: towards Rosh Hanikrah and Haifa. On the way back the yacht anchors in the Acre Bay opposite the walls of the Old City. Guests are welcome to enjoy water activities, swimming, snorkeling and the dingi. Throughout the cruise guest are offered local boutique beer (from Western Galilee’s Malka Brewery), various foreign beers and quality wine, pastries and fruit. 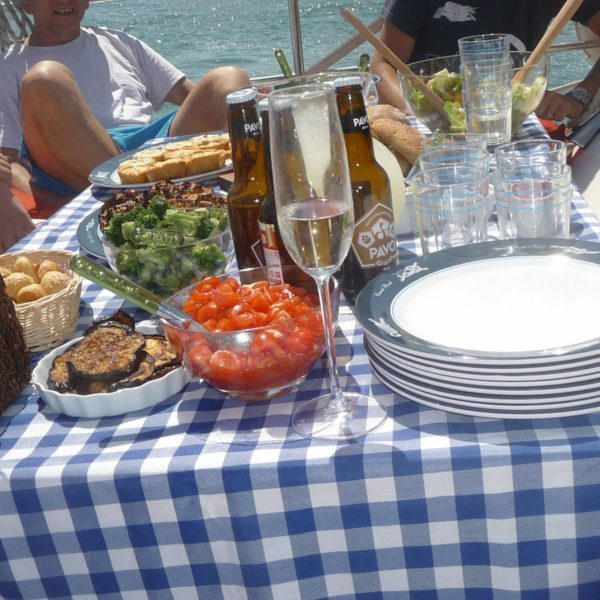 Dinner is served while the boat is anchored. The route includes an hour’s cruise and three hours at bay. A day’s Cruise: along the northern shore. During the cruise guest are offered meals that include gourmets Galilee cheeses, assorted breads, vegetables, dips and a tray of desserts, hot and cold beverages and of course beer, wine, pastries and fruit. The boat can accommodate up to 12 guests, sleeping not include. 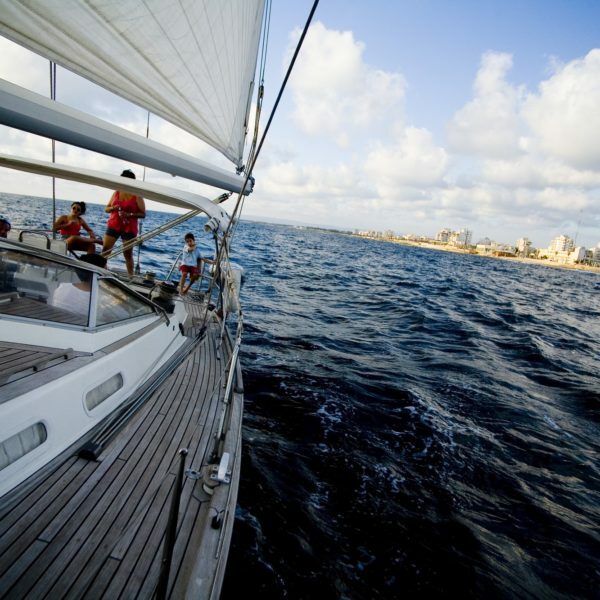 The Overnight Cruise: runs along Israel’s shores including: Herzliah, Tel-Aviv, Ashkelon. This cruise offers a sea view of Israel and its hospitality includes dinner and breakfast on the yacht and lunch in a restaurant on the beach. In addition, the Mañana holds theme cruises hosting wine workshops featuring a Wine Consultant, an Acre Story Teller, lectures by intellectuals, sing along sessions, meditation and Watsu treatments in the bay water. 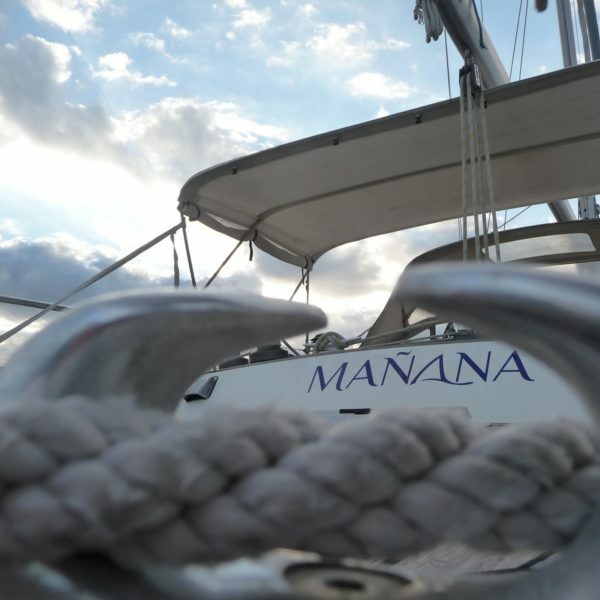 The Mañana can also be booked as a guest room over the water for the night, including meals. Available year-round every day of the week, reservations must be made in advance.